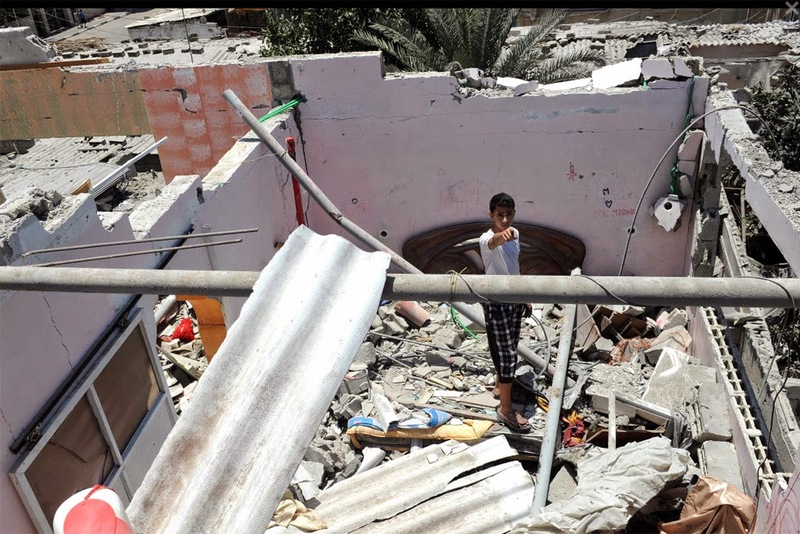 UN - 29 July 2014 – Secretary-General Ban Ki-moon has strongly urged all sides to avoid any further escalation in the Gaza conflict, warning of the devastating humanitarian impact on civilians in the enclave who have already suffered immensely since the crisis started. The United Nations chief made the appeal in a statement issued last night by his spokesperson, after leaflets were reportedly dropped by the Israeli Defence Forces in the northern Gaza Strip warning tens of thousands of residents to leave their homes and evacuate to Gaza City. “If true, this would have a further devastating humanitarian impact on the beleaguered civilians of those areas of the Gaza strip who have already undergone immense suffering in recent days,” said the statement. It added that UN agencies in Gaza do not have the resources on the ground to cope with, or provide assistance to, an enormous extra influx of desperate people. Mr. Ban also reiterated his condemnation of the firing of rockets and the building of tunnels into Israel from Gaza. The Israeli military offensive in Gaza, which is home to 1.8 million people, has left hundreds dead and thousands injured. Over 182,000 displaced people have now taken refuge in facilities run by the UN Relief and Works Agency for Palestine Refugees in the Near East (UNRWA). In a related development, UNRWA said that a cache of rockets was found today at one of its schools in central Gaza. The discovery came during a regular UNRWA inspection of the school, which was closed for the summer and not being used as a shelter. All the relevant parties have been notified.